Rigfit specialises in Project Management, Construction, repair and refurbishment services for the Marine, Offshore and Drilling sectors. These services extend to platform, jack-up, semi-submersible, FPSO and onshore land camp accommodation refurbishment inclusive of new build accommodation modules. 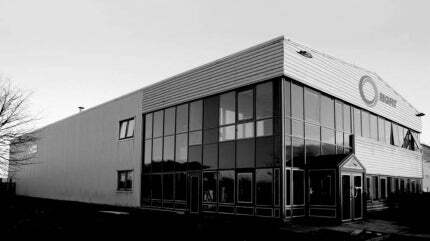 Rigfit have an excellent track record of delivering full turnkey packages internationally through their UK Head Office in Dyce or, from their UAE office in Dubai. Rigfit offers a professional, customer centric and responsive service to all its clients, all projects are supported by approved and skilled in-house trades. Rigfit provides a complete turnkey service from the initial survey, to supply and installation inclusive of pre handover commissioning with responsive ongoing maintenance post project completion. All projects are undertaken and managed by a dedicated team of experienced industry professionals. Additional standalone services provided by Rigfit extend to architectural, electrical, piping and HVAC components, public address and general alarm systems, utilities and sprinklers. All works are undertaken in accordance with the guidelines of the relevant certifying bodies, with each project being subject to conforming to ISO9001:2008. Rigfit has a fully accredited DNV Quality Management System which governs all projects from inception to completion. Rigfit was first established in 2002 by our current Managing Director, Brian Knowles. In 2005 an office in Dubai was established to service the then and still growing needs in the UAE. During this time, Rigfit have carried out a wide variety of projects ranging from the supply of bespoke furniture to complete accommodation refurbishment on board platforms, jack-ups, semi-submersibles, FPSO’s and most recently Oil and Gas Land Camps for Onshore exploration. These works have carried out worldwide in Angola, Azerbaijan, Bahrain, Cameroon, Canary Islands, Dubai, Equatorial Guinea, Faroe Islands, Falkland Islands, Ghana, Holland, Israel, Italy, Malta, Namibia, Nigeria, Norway, Oman, Pakistan, Russia, Thailand, Tunisia, the UK and the US. In 2009, Rigfit joined forces with the Global Energy Group. Since joining the Group, Rigfit have benefited from the synergies of the Groups other business units and corporate support, this has allowed for Rigfit as a company to grow its client base directly as a result. A selection of key Rigfit clients extends to the likes of BP, Shell, Ensco, Transocean, Maersk, Hess EG, Lamprell, Premier Oil, Rowan Companies, Dolphin Drilling, Apache, BG Group and Dubai Dry Docks. Should any of the above be of interest to your company or, you simply wish to make initial contact for more in depth case studies, we would encourage you to complete the form below to send us your initial New Business Enquiry. Culzean is a high-pressure / high-temperature (HP/HT) gas field located in Block 22/25a (License P111) of the UK continental shelf (UKCS), around 145 miles east of Aberdeen at a water depth of approximately 90m.